Blue Granite Carbide Hammer Drill bits are for intended for fast impact drilling in concrete, stone, and masonry. Low voltage, high temperature brazing prevents the carbide cutting edge from breaking out, even when the head builds up during deep drilling. Various usable lengths up to 10inches. 29-piece Metal Index Cobalt Drill Bit Set Bosch cobalt drill bits are specially designed for drilling in hard steel. Thick web helix delivers fast material removal combined with increased durability for maximum efficiency and performance. Each bit is manufactured to exacting specifications. Bits 1/8 In. and larger feature a split point that starts on contact with no walking or skating, eliminating the need for a center punch. 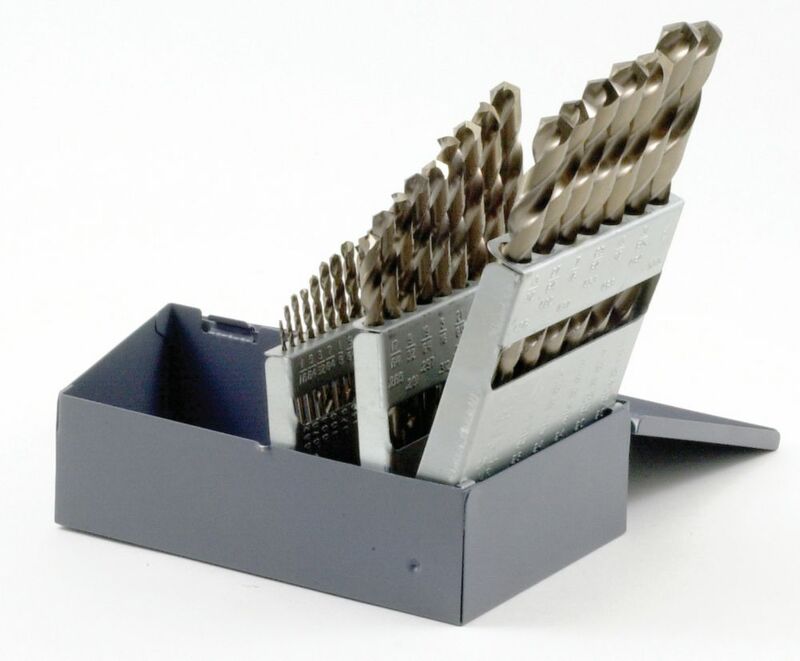 29-piece Metal Index Cobalt Drill Bit Set is rated 4.5 out of 5 by 4. Rated 4 out of 5 by Gbo from Great price. These drill bits do the job. Only complaint is after the shank on largest drill bi... Great price. These drill bits do the job. Only complaint is after the shank on largest drill bit gets scratched up the bit no longer slides into the box nicely. Rated 4 out of 5 by Fisherus from Good Quality Bits Before I say anything else, one thing that bothers me with reviews is reading ones that are written by someone other than the "User." For someone's wife to write a review about how her husband loves having a full set of bits and giving a five star rating is ridiculous so, please ladies, don't write reviews unless you know how well the product really does it's job. When I read a product review, I am looking to see how durable the product is, does it do the job intended as good or better than most in it's price range and the ease of using it. With that being said, these are very good quality bits. I only use them in my drill press and purchased them specifically for that reason. I drill a lot of steel up to 1/2" thick plate. These bits will drill through it but you have to use a very slow speed with a whole lot of cutting oil if you want the bits to drill through anything again. The reason most bits don't last is because of heat, due to drilling too fast and not using cutting oil. Rated 5 out of 5 by DIYwoman from Worth the expense This drill bit set was given to my husband for Christmas. Having such a wide selection of drill bit sizes means that this set will be used for years. It replaces a similar set that has several missing bits so it was a welcome gift.